Issued at 5:03 pm Monday, 11 February 2019. DAMAGING WIND FOR THE SOUTHERN RANGES TUESDAY. A vigorous cold front approaching from the west during Tuesday is expected to bring strong and gusty WNW winds ahead of the front from Tuesday morning. Winds will ease Tuesday evening as the front passes through the region. 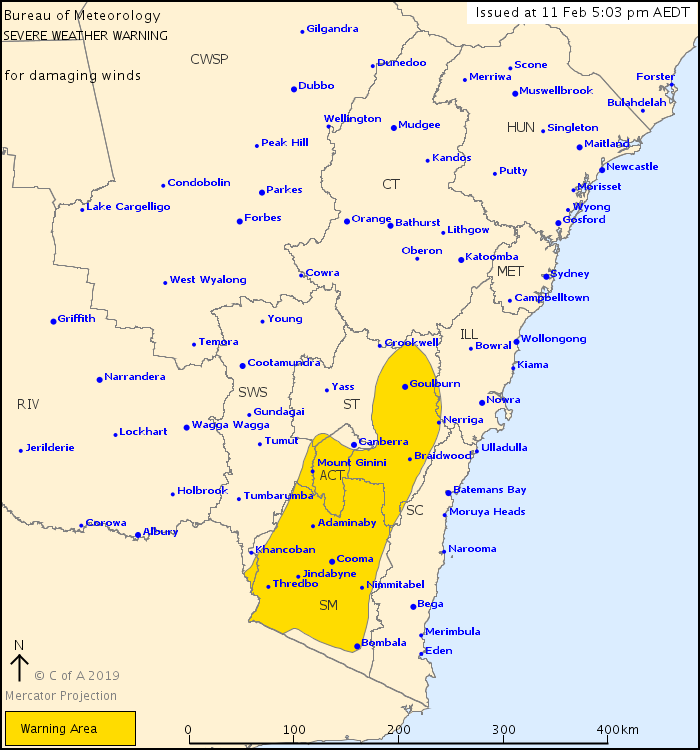 Locations which may be affected include Braidwood, Goulburn, Cooma, Bombala, Adaminaby and Nimmitabel.